Its international airport makes Koh Samui one of Thailand’s most accessible and popular islands with a big range of resorts, dining and beaches. Find out which beaches to stay on, where to stay and things to do with our Koh Samui Quick Guide. One of the first Thai islands to be ‘discovered’ by international travellers, Koh Samui offers a great mix of luxurious resorts and quiet, undeveloped beaches. 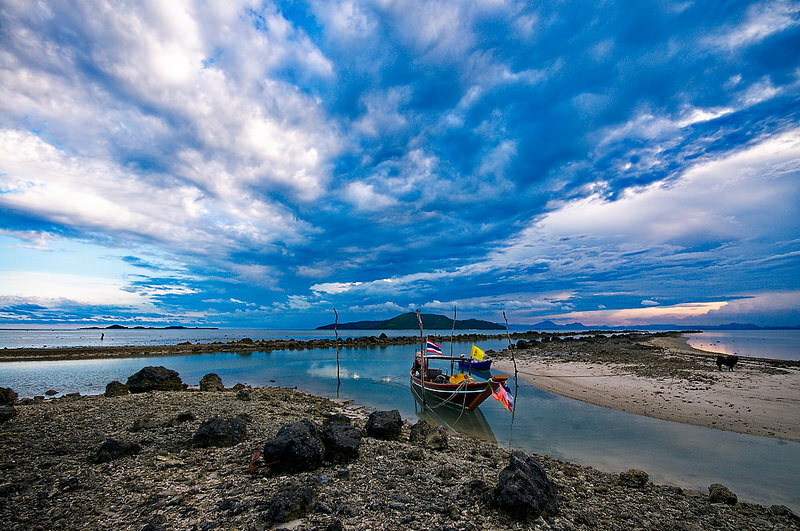 With an international airport and frequent ferry services, Koh Samui is one of Thailand’s easiest islands to access. From the crowded bars and restaurants of Chaweng to beautiful, undeveloped beaches on the island’s southern coastline, Koh Samui offers a range of experiences for people seeking warm weather, stunning beaches and unforgettable memories. Nathon is Koh Samui’s capital. If you’re travelling to Koh Samui by ferry, you’ll pass through this small town on the way to the island’s beaches. Nathon has a few good restaurants and shops, but offers little of interest for most travellers visiting Koh Samui for its beaches. Chaweng is Koh Samui’s most popular beach, offering a great selection of restaurants and bars beside one of the island’s most impressive stretches of sand. Home to more hotels and resorts than any other beach on the island, Chaweng is Koh Samui’s nightlife capital. Quieter and less crowded than Chaweng, Lamai is home to most of Koh Samui’s backpacker accommodation and a great selection of bars and restaurants. Laid back and peaceful when compared to Chaweng, Lamai offers a good balance of beautiful nature and development. Located on Koh Samui’s northern coast, Bo Phut is a beach and fishing village that offers a more traditionally Thai experience than the beaches to the south. The Fisherman’s Village is home to a great selection of seafront bars and restaurants. Quiet and laid back, Mae Nam is where you’ll find cheap accommodation and great Thai food right next to the beach. Mae Nam Beach is a long stretch of sand that offers fantastic views of nearby Koh Phangan. Home to Koh Samui’s famous Big Buddha monument, Big Buddha Beach is where you’ll find a mix of budget to mid range resorts and local Thai restaurants. Although laid back and quiet most of the day, this beach’s proximity to Chaweng makes it popular with guided tour groups. 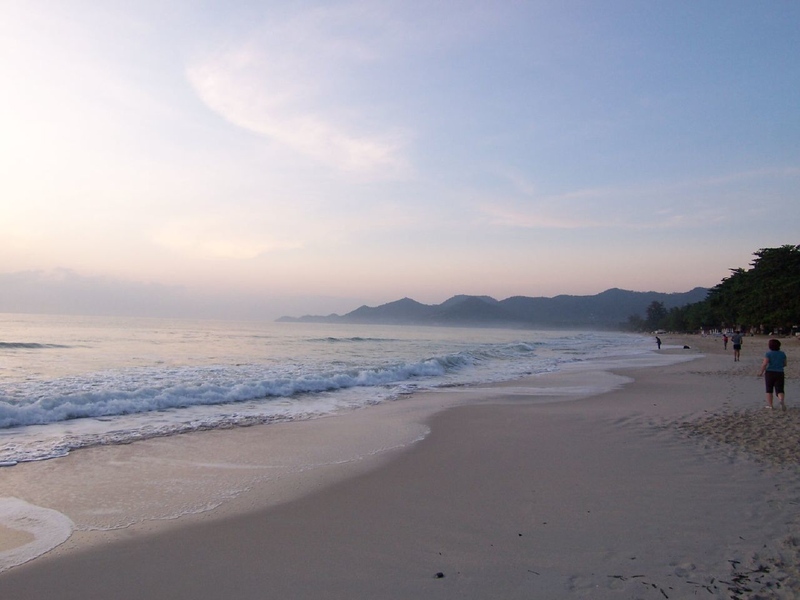 Home to several luxurious resorts, Choeng Mon Beach is a quiet bay located relatively close to Big Buddha Beach. The small rock formations off the beach make Choeng Mon one of the better beaches in Koh Samui for snorkelling. Quiet and secluded, Taling Ngam Beach is a beautiful beach located on the southwest edge of Koh Samui offering great views of nearby islands. Resorts and luxurious private houses make up most of the development in this quiet part of the island. Use the search box below to find out departure times and prices on your selected travel dates to Koh Samui. 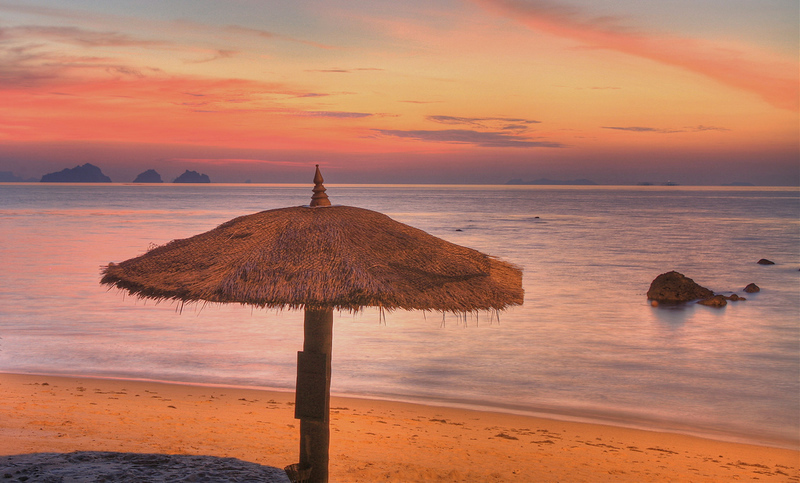 Koh Samui is home to some of the best beaches in the Gulf of Thailand. From Chaweng and Lamai to less crowded beaches on the island’s northern and southern coastlines, Koh Samui offers a great selection of clean, beautiful beaches for relaxation, swimming and sunbathing. Snorkelling is possible from many of Koh Samui’s beaches, although the sandy water means you might not see much. Book a snorkelling tour from one of the island’s many travel agents to areas such as Angthong National Marine Park to really see Thailand’s marine life. Koh Samui is a short distance from many of Thailand’s most popular dive sites, including the famous Sail Rock. A variety of dive shops on the island offer everything from beginner PADI courses to liveaboard dive trips. Located on a small island close to Bu Phut and connected to Koh Samui by a walkway, Big Buddha is a 12 metre Buddha statue that attracts both tourists and local worshippers. Arrive early in the morning to avoid the heat and the crowds, both of which show up later in the day. There are several waterfalls on Koh Samui, ranging from small and unimpressive to large and worth visiting. Na Muang Waterfall has a small lagoon that’s ideal for swimming and is easy to reach on foot from the main road. Although Koh Samui isn’t as well known for golf as Phuket, the island is home to two small courses that offer great views and challenging play. Santiburi Samui Country Club offers 18 holes near the island’s coastline and is a favourite of professional Thai golfers. Located close to Lamai Beach, Hin Yai and Hin Ta (known in English as the “Grandmother and Grandfather Rocks”) are an interestingly shaped rock formation. The area around the rocks offers great views of Lamai Beach and Koh Samui’s beautiful coastline. There are several Muay Thai gyms on Koh Samui, ranging from day gyms to full Muay Thai training camps. Good options for visitors to Koh Samui that want to train include Wech Pinyo Muay Thai on Lamai Beach and Superpro Samui in Bo Phut. Located on a hill overlooking Lamai Beach, Banyan Tree Samui offers a selection of stunning private pool villas.The hotel’s luxurious villas, incredible views and amazing spa make it one of the best places on Samui for relaxation. Hansar Samui Resort’s beachfront infinity pool might be one of the most beautiful places on the island to rest and relax. This luxurious resort located close to Bo Phut offers a selection of stunning rooms and suites perfect for couples seeking a romantic holiday. Ammatara Pura Pool Villa offers a selection of private pool villas, ranging from cosy Sea View villas ideal for couples to spacious Beachfront Pool Villas for families. Luxurious private villas and beachfront dining make this one of Koh Samui’s most luxurious places to stay. Sleek and ultra-modern W Retreat Koh Samui Hotel offers a selection of luxurious rooms and suites with private pools, designer furniture and more. One of the few hotels in Koh Samui to boast its own private beach, W Retreat is an unbelievably luxurious place to stay. Located close to Lamai Beach, Montra Hotel offers a selection of comfortable and tastefully furnished rooms and suites. The hotel’s beautiful gardens and modern lap pool make it one of Lamai Beach’s best value mid range hotels. Royal Beach Boutique Resort and Spa offers a selection of comfortable and well priced rooms and bungalows, as well as a great outdoor swimming pool. Many rooms have excellent views of Lamai Beach. The Nest Boutique Hotel Samui offers a small selection of modern rooms with a location close to Bo Phut. Relaxing, earth-toned decor and personalised service make this boutique hotel an excellent choice for travellers that want to relax without a luxury hotel’s price tag. Located on Chaweng Beach, OZO Chaweng Samui has a wide range of comfortable rooms, a large outdoor swimming pool and a fantastic location. Modern and beautifully designed, OZO offers a comfortable beach experience with one of the best locations in Chaweng. With a location right on Bo Phut beach, Pelegrin Hotel Samui gives travellers an unmatched level of convenience. The fan and air conditioned rooms are simple, minimalistic and clean, with good prices and free Wi-Fi. Baan Pitcha is a large, villa-style hotel near Lamai Beach that offers a selection of double and twin rooms. Although it’s located in the centre of Lamai, Baan Pitcha’s large gardens make it a quiet place to relax. Conveniently located just a minute from Bo Phut Beach, Smile House offers a selection of inexpensive bungalows, a traditional Thai spa and two large swimming pools. Although the rooms are simple, the great location and garden atmosphere make this a great place to stay. Located inside the Anantara Samui Resort in Bo Phut, Full Moon serves a selection of high quality international dishes and cocktails with excellent views over the water. Dining on the Rocks is a stunning restaurant located inside the Six Senses Resort. Boasting a 270° view of the water, the outdoor seating at Dining on the Rocks is truly unforgettable. The Intercontinental Samui’s Air Bar is one of the best places to enjoy drinks on the luxurious Taling Ngam Beach. Arrive before sunset to enjoy breathtaking views over the ocean. Koh Thai Restaurant serves a selection of classic Thai dishes in a peaceful location close to Lamai Beach. Located on Bang Po Beach, Vela Beach Lounge serves a Mediterranean menu and a great selection of wines right next to the water. Feel like a break from Thai food? Chaweng’s Stacked Samui serves tasty steaks and some of the best burgers in Koh Samui. One of Koh Samui’s best organic cafés, Sweet Sisters Café serves a range of delicious gluten and lactose free Thai dishes and desserts, as well as fantastic coffee. Shambala is, at first glance, an unremarkable roadside restaurant. 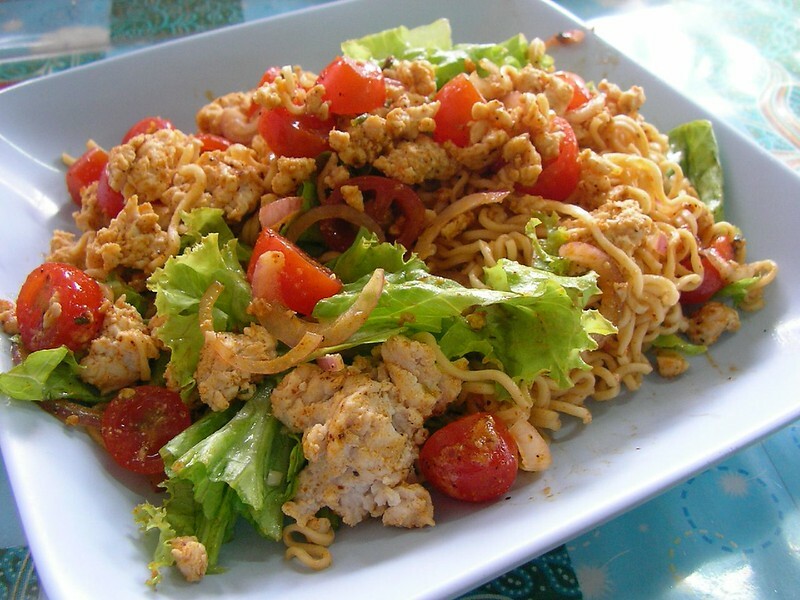 This small restaurant offers a great selection of Southern Thai curries, soups and other dishes at reasonable prices. Koh Samui is the only Gulf of Thailand island with its own international airport. Samui Airport receives flights from Bangkok, Chiang Mai, Phuket and other domestic airports in addition to occasional flights from Singapore, Kuala Lumpur and Hong Kong. 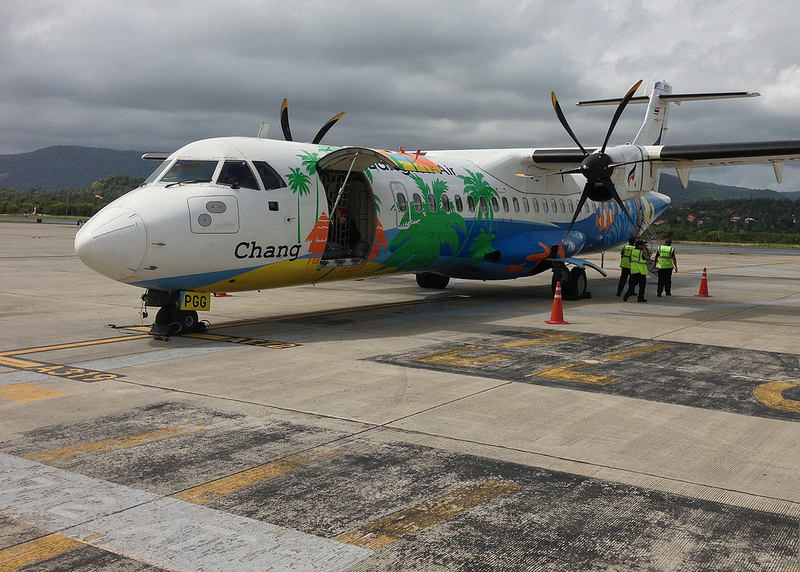 Thai boutique airline Bangkok Airways owns and operates Samui Airport and the majority of flights to and from the airline are via Bangkok Airways. More affordable flights are available on a range of budget airlines to nearby Surat Thani Airport. Check Skyscanner to compare airlines for the best prices and flight times to Koh Samui. 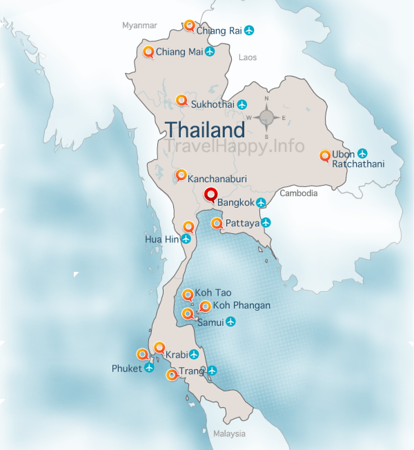 Koh Samui is easy to reach by ferry from Surat Thani. Ferries depart from Donsak every 30 to 60 minutes and take approximately 90 minutes to reach the port at Nathon. Passenger tickets start from 130 baht one way, with bus and ferry tickets available from Surat Thani Airport.